 The IEEE Virtual Reality 2017 conference was held in Los Angeles from March 18th to 22nd. I was lucky to attend the exciting conference. Our team from Johns Hopkins University have three poster presentations. Here in this post, I would love to share some highlights and interesting projects that I saw during the conference. Virtual Reality is such a popular terminology these years, with more and more revolutionary products, cool demos, and potential application domains. IEEEVR is undoubtedly the top conference in this technology domain. The papers, posters and demos at IEEEVR represent the most recent breakthroughs in the research of VR. Some of them are selected and briefly described in this post. You can definitely refer to the full proceedings of IEEEVR 2017 when they are available. SEARIS (Software Engineering and Architectures for Realtime Interactive Systems) is one of the workshops held at IEEEVR on Sunday. A panel “Big metal VR in the HMD and Unity era” attracted the attention of many researchers, including me. The big metal VR here means CAVE. A cave automatic virtual environment (better known by the recursive acronym CAVE) is an immersive virtual reality environment where projectors are directed to between three and six of the walls of a room-sized cube. CAVE was one of the major representatives of Virtual Reality technology for a long time. However, as indicated in the name of the panel, VR entered the “HMD and Unity era”, pretty much since the appearance of good HMDs, for example, Oculus. VR and AR work based on projectors are becoming rare. Apparently, CAVE technology is experiencing a hard time. Researchers attending this panel had very heated discussion about the current situation and future of CAVE. Several years ago, head-mounted display was not as mature as today. People thought HMDs were too bulky, expensive, and ergonomically uncomfortable for VR experiences. CAVE was absolutely the choice for VR applications. It has been widely used in applications like military training. However, engineers tackled the problems quickly, and HMDs bring VR out of the labs, to the general consumer market. HMDs are cheap, easily accessible, and powerful. On the other hand, CAVE is still difficult to setup. Careful calibration is involved to guarantee comfortable experience for the users. More spaces are needed. It is much more expensive, compared to HMDs. Still, CAVE has its unique advantage over HMDs. It provides natural environment for shared VR experience. A well-calibrated CAVE provides better immersive feelings. If you have tried some Disneyland attractions, for example, Soaring Over the Horizon, you will know that CAVE is still great. Just like very few people could predit the current popularity of HMDs several years ago, advancement in CAVE technology is able to bring people’s faith back. IEEEVR is full of fun and innovative ideas. It is also very good to see more and more Chinese researchers and engineers in this field.